If you had five Booster Gold autographs and Booster gave you eight more, how many autographs do you have? If a villain held ten hostages and Booster Gold freed eight of them, how many hostages remain? The Fire and Water Podcast Network has recently added to their lineup! 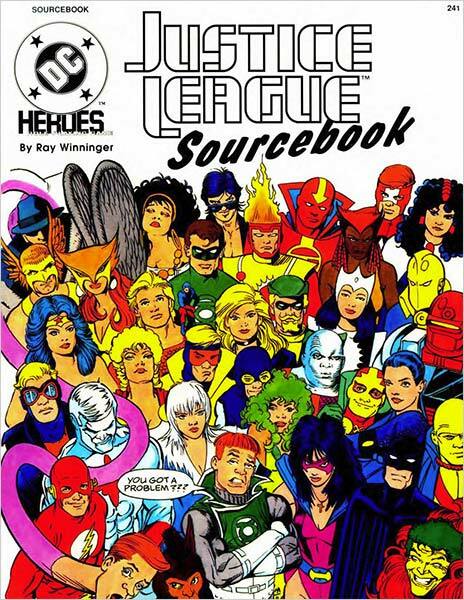 DC RPG: The Hero Points Podcast, by Siskoid of the famous Blog of Geekery, has already reached its fourth episode in which they covered the 1990 Justice League Sourcebook with Booster Gold on the cover. That beautiful cover is by Kevin Maguire and Joe Rubinstein. But it's also worth looking at the back cover, with a pull quote attributed to our hero. While the covers are nice, most who bought this sourcebook did so for the role-playing content inside. The book even includes stats for role playing as the Capitalist Crusader! You can find scans of those pages or listen to the podcast at FireAndWaterPodcast.com. Keep up the good work, guys. The latest installment of The Justice League International: Bwah-Ha-Ha Podcast covers Booster Gold's first adventure as a member of the JLI as seen in Justice League Annual #1. 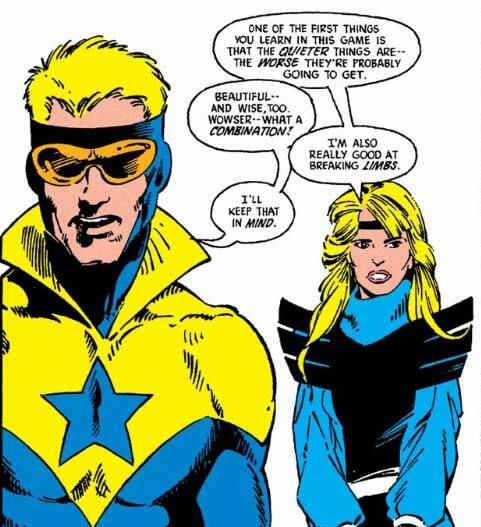 This issue notably includes Booster Gold getting to know his new teammate, Black Canary. You can find the podcast at FireAndWaterPodcast.com. 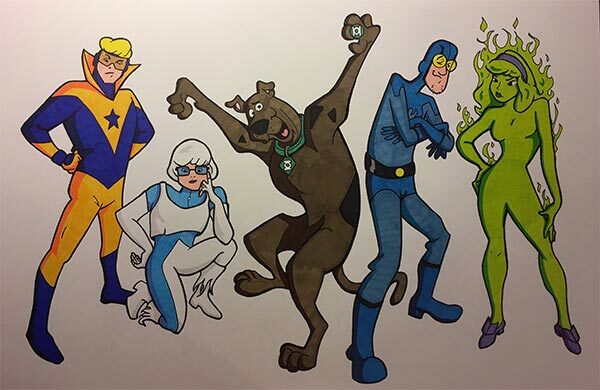 If there were four villains, and Booster Gold defeated three of them, how many villains remain?